256 pages | 2 B/W Illus. Although its beginnings can be traced back to the late 19th century, the interfaith movement has only recently begun to attract mainstream attention, with governments, religious leaders and grassroots activists around the world increasingly turning to interfaith dialogue and collective action to address the challenges posed and explore the opportunities presented by religious diversity in a globalising world. This volume explores the history and development of the interfaith movement by engaging with new theoretical perspectives and a diverse range of case studies from around the world. 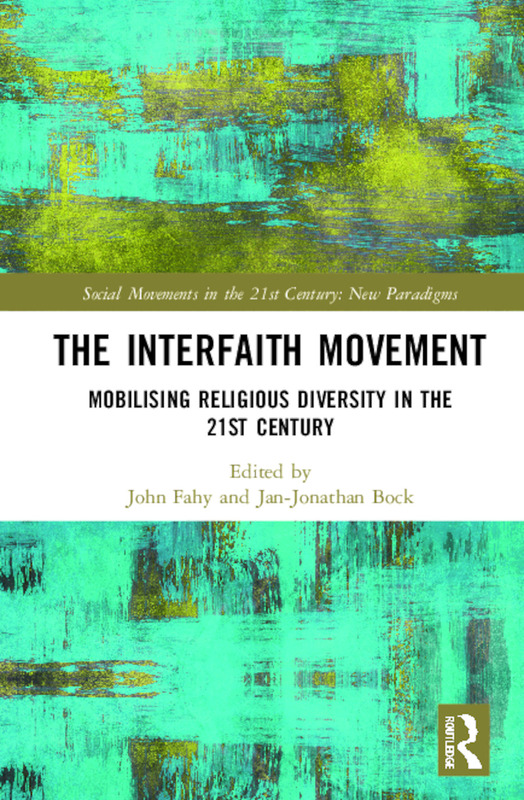 The first book to bring together experts in the fields of religion, politics and social movement theory to offer an in-depth social analysis of the interfaith movement, it not only sheds new light on the movement itself, but challenges the longstanding academic division of labour that confines ‘religious’ and ‘social’ movements to separate spheres of inquiry. 10. Religious Discourse and Interreligious Impact in Egypt’s "Spring"
John Fahy is Research Fellow at Georgetown University Qatar and the Woolf Institute, Cambridge, UK. He received his PhD in Social Anthropology from the University of Cambridge, and has published widely on the anthropology of religion, diversity, ethics, and interfaith in both India and the Persian Gulf. He is currently completing his first monograph, Becoming Vaishnava in an Ideal Vedic City. Jan-Jonathan Bock is Research Fellow at the Woolf Institute, Cambridge, UK.. He received his PhD in Social Anthropology from the University of Cambridge, and has published widely in anthropology and social science journals. He is also the Programme Director of Cumberland Lodge in Windsor Great Park. His research interests include urban life, community cohesion, and the challenges of ethnographic-religious pluralism, which he has explored in Germany, Italy, the UK, the Middle East, and South Asia. He is co-editor of Austerity, Community Action, and the Future of Citizenship in Europe (with Shana Cohen and Christina Fuhr), and Refugees Welcome? Difference and Diversity in a Changing Germany (with Sharon Macdonald). Moving beyond the interpretative frameworks constructed to make sense of social movements half a century ago, Social Movements in the 21st Century: New Paradigms seeks to renew our understanding of collective action today. With a focus on social and political actors and experience, this series provides a space for engaging with emerging forms of action and organization, subjectivities, embodiment, and new forms of solidarity. It values theoretical work and methodological innovation, rooted in western and non-western research, and seeks to engage with key questions linking movements to wider social and political transformations, in particular to shifts in contemporary capitalism and globalization. Its focus includes moral imaginations and the production of ethics, emerging organizational practices, the significance of new media, digital technologies and new forms of communication, the role of art and imagination in action, the reconfiguration of public and private, and experiments in contemporary democracy. The series welcomes studies linking empirical work and theoretical renewal. These may include studies of action in workplaces, cities or neighbourhoods and address questions ranging from sexuality to race, with a focus on emerging forms of mobilisation, from digital action to occupations. Moving beyond the 20th century’s progressive and secular paradigm in social movement studies, the series seeks to engage with the breadth of collective action today, whether in the form of religious movements, populist and antidemocratic movements, or violent movements, – as in the form of contemporary terrorism.